So you say you want to get involved in the state legislative process for your practice and the benefit of your patients? Well, POMA has you covered. 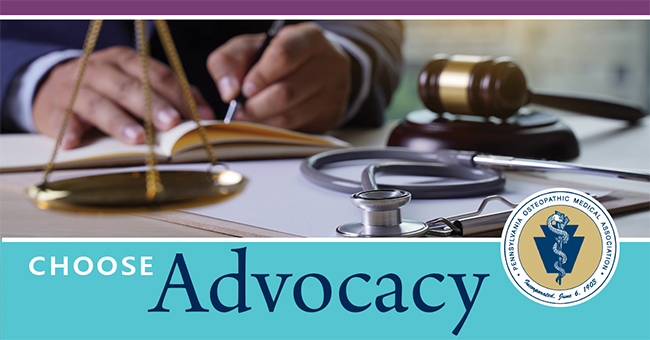 Find everything you need to become a top-notch advocate on this page. There are 50 Senators and 203 members of the House of Representatives. Every voter in Pennsylvania has one state representative and one state senator. Do you know who represents you? This link will take you to the Pennsylvania General Assembly webpage. Put in your zip code and you are on your way! Visit the POMA legislative action center! Questions? Contact Andy Sandusky at [email protected].